Please fill out this form and we'll be in touch. Fully equipped and expandable up to 15 stations. Complete with exceptional broadcast and recording capabilities. 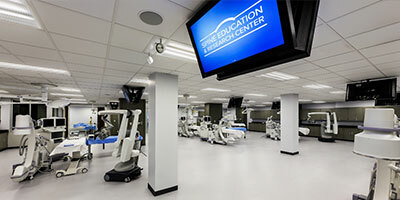 Specialty Education and Research Center (SERC) is a cutting-edge training facility created to provide an optimal learning environment for advancements in patient care. Since its opening in 2007, SERC continues to support the heart of the North American Spine Society's (NASS') mission to foster high quality spine care through education and research. It is open to a variety of medical societies, organizations, and companies to host hands-on and didactic courses- bringing education to new levels. A state-of the-art, custom designed facility perfect for your next hands-on educational course or product testing. Every year hundreds of healthcare professionals utilize the SERC lab to enhance their skills. An outstanding venue for all your didactic needs, complete with exceptional broadcast and recording capabilities. Ergonomic chairs and tiered seating for over 100 participants to learn in a comfortable and professional environment. 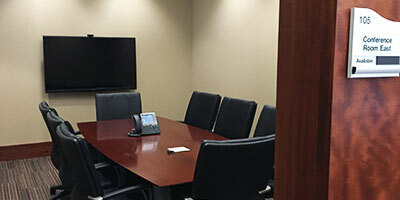 The custom-designed boardroom with a conference table that seats 20 features a 90' LCD wall-mounted display, audio, video, and lighting touch control panel, video and lighting, with an adjoining kitchenette for food service. 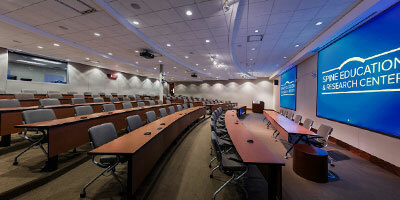 Two side-by-side conference rooms, each seating 8, are available and include 60' LED display monitors for presentations. The function/break room can seat 80 to 100, depending on configuration. There is a kitchenette area for catering food functions. A podium and retractable screen also are available. 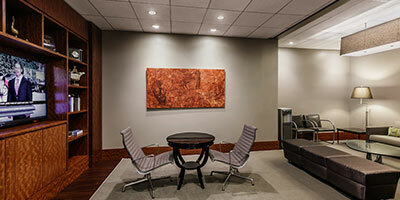 A casual and relaxed networking environment with comfortable seating, a 60' display, and available snack/beverages. Physician 'quiet rooms' for private telephone calls or internet access with print capability is made available. A built-in registration station and coat/bag check area. Tastefully decorated reception area to greet your attendees in style. 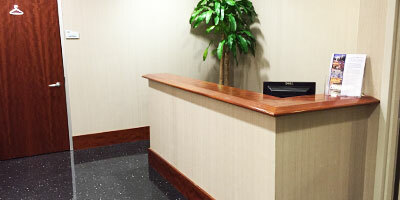 A receptionist is available to greet guests and arrange for transportation or hotel accommodations. The beautiful main hall features unique, medically themed artwork and exceptional woodwork. Here is some helpful information to enhance your visit and expedite the request process. We would like to give special thanks to the generous corporate sponsors who have pledged their support to the Specialty Education & Research Center. What is the auditorium's capacity? The auditorium has tiered seating and holds approximately 112 participants. Is audiovisual equipment and assistance available? Yes; a wide variety of options are available from basic presentation to a complete recording. Please refer to the Menu of Services for more information. A NASS audiovisual technician will operate the equipment. Can we bring in our own AV and technician? No; SERC is a fully-integrated facility that contains specialized AV and recording equipment that will not interface with external equipment. A NASS audiovisual technician is required to operate the equipment. 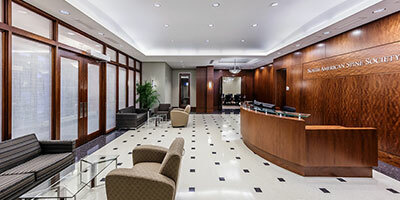 An onsite technician will familiarize you with the space and its features as well as run all the presentations and do all the switching and management from the control booth. SERC has a best practices document that can be found online or requested from your meeting coordinator for guidelines to follow in preparing presentations for optimal viewing. How do I send in or upload my presentation before the meeting? Stop by the control booth behind the auditorium and an AV technician will upload your presentations. Or, you also may arrange with your NASS meetings contact to have the capability to upload presentations prior to the meeting. Do you have any other didactic spaces? Yes; the Boardroom seats up to 20 and has an attached catering kitchen. 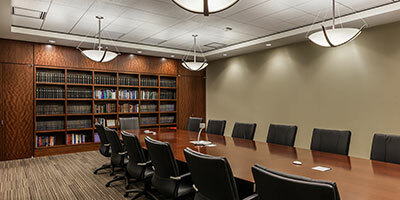 There are also two small Conference Rooms that can seat up to 8 and the Multi-Function Room can be reconfigured for didactic purposes as well. What is the lab's capacity? Are lead aprons and other protective equipment available? There are 100 lead aprons in various sizes. Scrubs, caps, masks, shoe covers and gloves also are available. Please contact us to verify the final number of participants to ensure proper availability. What lab instruments are provided? Towel clips, stats, oschners, needle holders, right angles, suction tips, knife handles, tissue forceps, ronguers, periosteal elevators, kerrisons, pituitary and pinfield dissectors are available. See SERC Equipment List for full details. Yes; there are currently 6 C-arms available and additional C-arms can be acquired if necessary. What if you don’t have instrumentation I need? SERC can make efforts to assist in renting any equipment we do not have at the facility. Please alert us at least 30 days prior to the course date, any requests for additional instrumentation after that time are not guaranteed. How do I obtain specimen? SERC is not a tissue provider. However, staff can/will assist you in obtaining specimens from a licensed provider of your choosing. You are billed directly by the provider. Yes; two Lab Technicians are available on-site and additional technicians can be contracted depending on the size of your group. Yes; the main floor has a women's locker room with 50 lockers and a room on the lower level with two additional lockers. There is a men's locker room on the lower level with 76 lockers and an additional 18 lockers available on the lower level if needed. 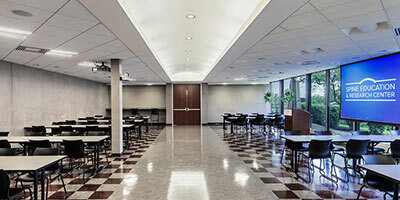 The multi-function room is located on the main floor and includes a catering kitchen. Overflow from the auditorium can view the live presentation from this room or the space also may be used for meals and breakouts. What is the multi-function room's capacity? The multi-function room can accommodate 112 participants with the general setup of 20 five-foot long tables and chairs. If a podium or other display is used, the room can accommodate 96 people. The multi-function room can be reconfigured to suit your needs. Can I hire any catering service? Can I ship items to the facility before a course? Yes; the preference is for all items to arrive 4-5 days before a course. There is a loading dock located on the west side of the facility, as well as a 70 sq. ft freight elevator to accommodate c-arms and additional equipment. How do I ship items out at the conclusion of the course? Please call the shipping company you wish to use to arrange for pick-up on the next business day. Absolutely no weekend pick-ups. Make sure all packages are clearly labeled and the Outgoing Shipping Request Form is filled out and placed with the shipment. How far is the facility from the airport? From Chicago Midway Airport: approximately a 20-minute drive, dependent on traffic. From O'Hare International Airport: approximately a 30-minute drive, dependent on traffic. Refer to the Transportation/Lodging page. NASS provides a list of shuttle and cab companies upon request. Which hotels are located nearby? SpringHill Suites by Marriott is adjacent to the facility; Chicago Marriott Southwest is two miles from the facility. 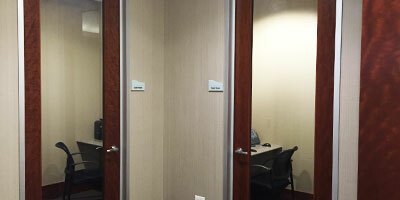 The entire building is wireless, and two quiet rooms with computers are available. Can I place signage in the facility? Where do attendees register? Signage is allowed in the reception area and along the main corridor; six easels are available. Once onsite, registration may be located at the front desk near the main entrance or adjacent to the auditorium on the main floor. When can I arrive to set up for a course? The North American Spine Society is a global multidisciplinary medical society that utilizes education, research and advocacy to foster the highest quality, ethical, value- and evidence-based spine care for patients.